The thing we had got to think of now was getting out of Spain. There was no sense in staying here with the certainty of imprisonment sooner or later. As a matter of fact both of us would greatly have liked to stay, just to see what happened. But I foresaw that Spanish prisons would be lousy places (actually they were a lot worse than I imagined), once in prison you never knew when you would get out, and I was in wretched health, apart from the pain in my arm. We arranged to meet the British Consulate, where Cottman and McNair were also coming. It would probably take a couple of days to get our passports in order. 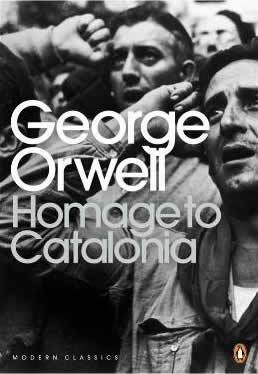 Before leaving Spain you had to have three separate places—by the Chief of Police, by the French Consul and by the Catalan immigration authorities. The Chief of Police was the danger, of course. But perhaps the British Consul could fix things up without letting it be known that we had anything to do with the POUM. Obviously there must be a list of foreign ‘Trotskyist’ suspects, and very likely our names were on it, but with luck we might get to the frontier before the list. There was sure to be a lot of muddle and mañana. Fortunately this was Spain and not Germany. The Spanish secret police had some of the spirit of the Gestapo, but not much of its competence.